I had to laugh: I decided to do "Outdoor Wednesday" only to remember I am on a new computer with absolutely NONE of my photos on it! So I downloaded a sample photo - what a hoot! The hydrangeas will be in bloom here soon so I guess this is just fine. I do not know what they smell like. Do they have a scent? It's still a pretty photo! Don't know much about hydrangeas. A very pretty bloom. Now you will have me going around smelling the hydrangeas to see what they smell like. I have buds beginning to show. 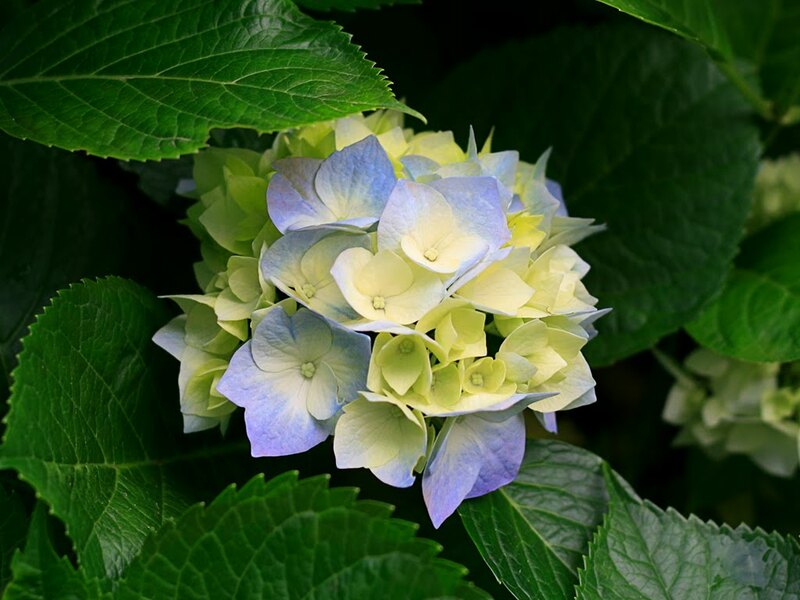 It is a lovely photo of a hydrangea! When I lived in Seattle I had a lovely hydrangea bush outside my dining room window, but I can't grow them here. I really can't remember if they have much fragrence or not. It can be a real pain trying to keep photos organized and accessable. I have been trying to reorganize mine for months now. My biggest problem is I keep taking more, and I think I am getting into a deeper and deeper hole every day. What a lovely hydrangea! I love hydrangea and I have few in my front garden. Great shot.